Another nature screensaver, bringing a real waterfall in the screen. Turn your monitor into a waterfall by using this screensaver. 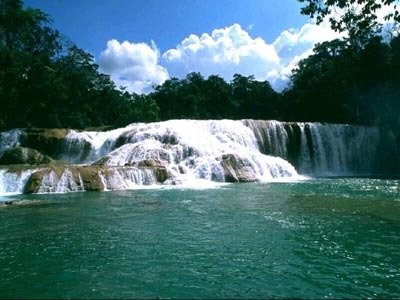 The splendid waterfalls mesmerize your eyes and calm your spirit giving you joy and relaxation. Enjoy the most famous waterfalls right on your desktop! Paint is a new free screensaver from a collection of free screensavers from http://www.newfreescreensavers.com. Colorful dots falling on the black background will decorate your monitor. No spy/adware, viruses free. It's safe to install and run. With Screensaver Wonder you can create your own screensavers from your pictures, music and videos with over 100 image effects and options. The software is very easy to use and it allows you to create self-installing screensavers for easy sharing. Autumn is on your street, which means that we will celebrate Halloween soon! Do you like being scared? If so, our new Deadly Halloween screensaver is perfect for you! In it you will hear terrible sounds, creaks and the howling of the wind.